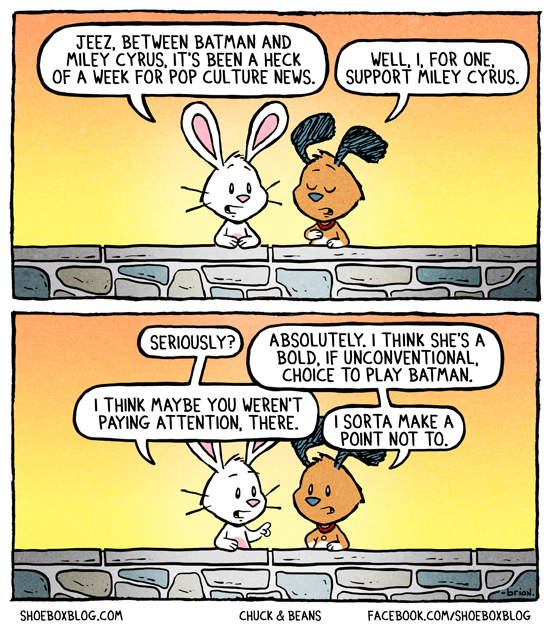 KryptonZone Blog: Miley the new Batman..?! It's been a busy week with the internet coming out - rightly so - in force to voice our discontent with the casting of Affleck as the new Batman in the upcoming Batman-Superman mashup. 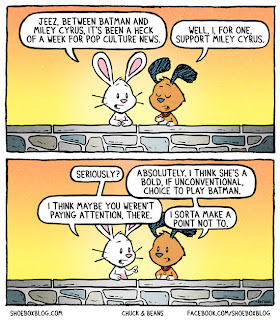 On the other side, we have Miley Cyrus'... um... performance at the MTV VMA. No wonder it's a bit confusing, not to mention totally irrelevant.